Improving the energy efficiency of our buildings is an area where EU action can make a big difference for citizens, while their digitalisation and integration into the energy system are indispensable for creating jobs and growth, and driving innovation, writes Lars Tveen. Lars Tveen is president of Danfoss Heating Segment. Let me single out one particular aspect of the new buildings directive; tackling a largely forgotten dimension of energy efficiency policy: the technical building systems installed in our existing buildings. At first sight, this may sound like an issue for the expert committees in Brussels. But don’t be misled by the cumbersome expression. It is about very tangible things that impact your well-being at home and in the office. And it is about ensuring that energy bills are affordable. The key is building automation and control: manage generation, distribution and emission of energy so that you get your preferred temperature as efficiently as possible. No matter whether the heat comes from a boiler, district heating or a heat pump. It is this forgotten dimension where progress is most urgently needed. The investments that “get the basics right” are low, payback is fast, and return on investment is large. Still, a large part of Europe’s building stock lacks fundamental control features – a clear market failure. Building automation and control is also indispensable for linking buildings with the outside energy systems, such as the electricity grid powered by wind and solar, or the district heating network powered by large heat pumps. So will the proposals in the Clean Energy for All Package deliver on technical building systems? Well, I think that to some extent they will. They will help to make larger buildings smarter over time. Fundamentally, smart means optimising their energy use by continuous adaptation of energy consumption to actual needs under real-time, part-load, conditions; and synchronising consumption with production from fluctuating renewable energy sources around the building. They will also guide industry to further innovate. This is crucial, as digitalisation is at the core of R&D and product development. In my view, this is positive both for the users of the buildings and for the technology providers, creating highly qualified jobs in Europe as well. However, I see room for improvement for the co-legislators. 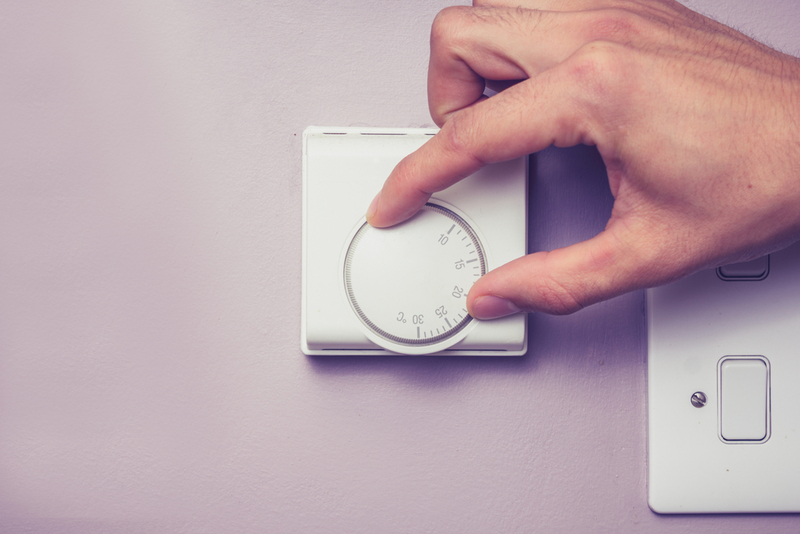 First, 50-100 million EU citizens lack adequate temperature control in their homes. The proposal will not do a lot to help them soon, and many will have no choice but to continue wasting energy and money. Equipping all homes with inexpensive, well-established technologies saves an amount of energy comparable to all the gas imported by Poland. It cuts people’s heating bills by €10-15 billion every year, with a payback time on the investment of about two years. Second, most multifamily houses have too high temperatures in some areas, and too low temperatures in other parts of the building. Automatic balancing distributes energy across the building so that each room gets just the right amount of energy, just at the right time. This means optimal comfort with less energy for multifamily homes and office buildings. Getting these aspects right is a no-regret measure, complementary to deep renovation of the building envelope. Beyond basic measures, connected and interactive smart technologies increase comfort and further cut energy bills beyond basic solutions. The key here is to adapt energy use to individual usage patterns, e.g. via connected radiator controls that you regulate by an app on your smartphone. We now have a foundation for a policy that gives direction to the role of buildings in the energy transition, and helps technology providers to create jobs and growth in Europe. The final touches of the co-legislators should reinforce action that gets basic features of controls in buildings right and speed up the digitalisation of our building stock. Then citizens can take centre stage in the Energy Union, and industry can develop and supply the products for the Energy System 2.0.